2009, has been a fantastic year for Crystal Iced, so many high profile commissions, and one thing I am very proud to say is that I have the best client list in the world. Last year, in 2008, when I won the Tiger Award for Crystal Iced, "Young Entrepreneur of the Year Award", I thought things could not get any better. But looking back at everyone I have met over the past year through Crystal Iced, this means alot more to me than any award ever could. You guys are more like friends to me. 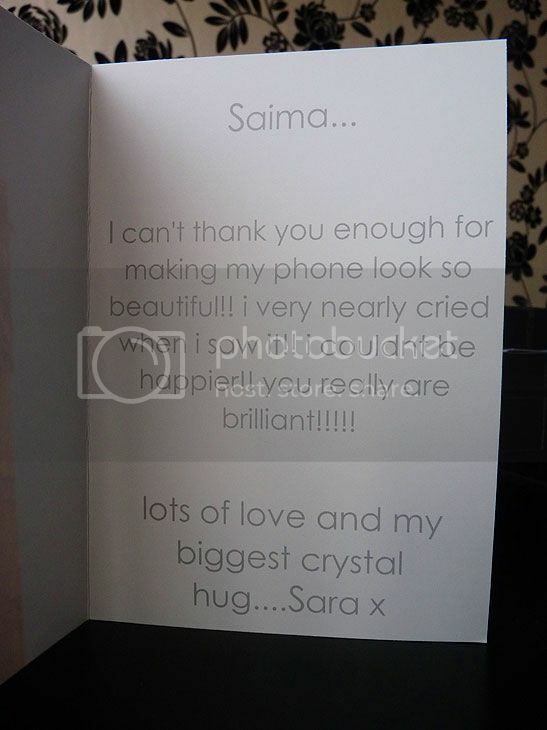 Not only do you appreciate and support what I do with Crystal Iced, but always encourage me to achieve all my dreams and aspirations. 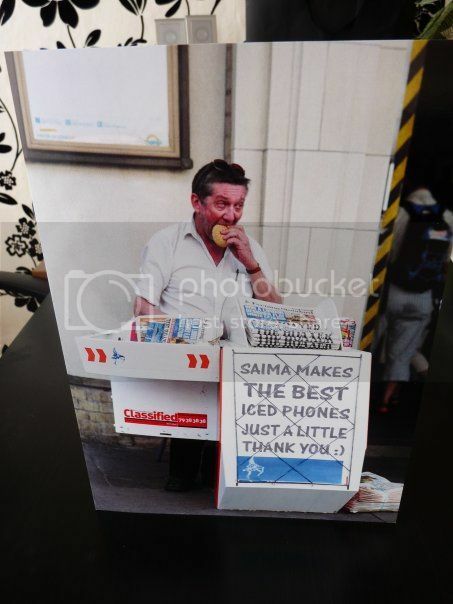 Every email I get starting with "Saima, I love your work!" or "I just love CI", means so much to me. Love all the quirky commissions too. The appreciation is phenomenal. 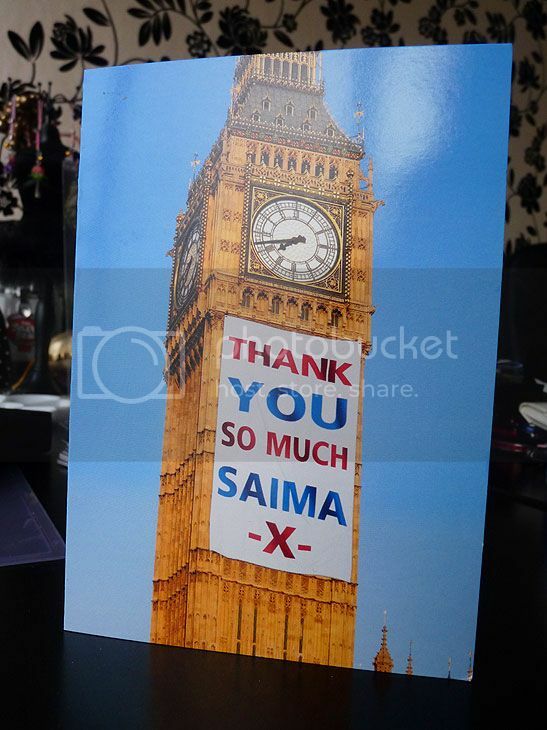 Thank you to everyone who has taken the time to write me a testimonial for the website and for all the thank you cards (I have three more since I last blogged - from Lucy, Sara and Humaira, so kind of you). Happy Christmas. See you all in the New Year. Will be back to work on 4th of Jan 2010. Speak to you soon. Since I last blogged pictures of the Crystal Iced office earlier this year, it has changed. And like Crystal Iced it keeps getting prettier every day :) Only one thing.. My desk never seems to be empty any more, but my moto is the more the mess, the harder we are working lol. I put up this chunky mirror and frames above the sofa, to match the black and cream decor. And lastly, this truly amazing, stunning, gorgeous Jelly Belly Machine, will soon be available to buy on the CI website. Exclusive to Crystal Iced. Crystal Iced is now officially authorised by Swarovski under company number: 164 0435. 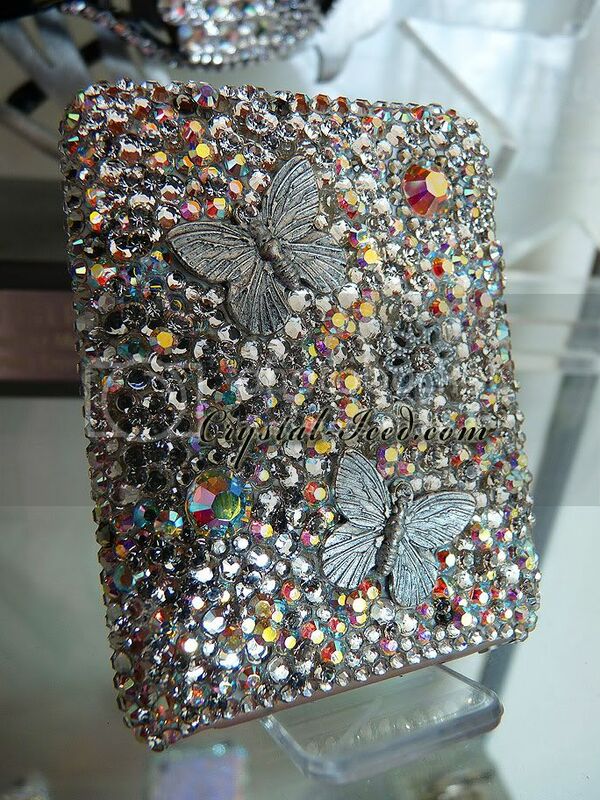 This means that our products have been inspected by Swarovski and we met the very high standards of Swarovski AG. 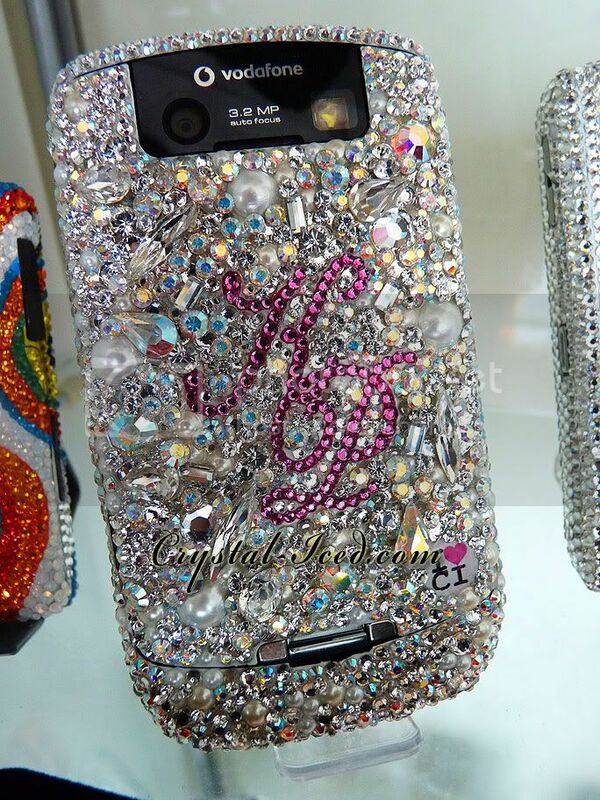 Our company number can be used to verify with Swarovski directly. Please place your orders by 5.30pm Tuesday 15th of December 2009, if you are purchasing Xmas gift(s) from our shop site. We will then guarantee that your item will be delivered on or before 24th December 2009, in order to arrive to you before Christmas day 2009. 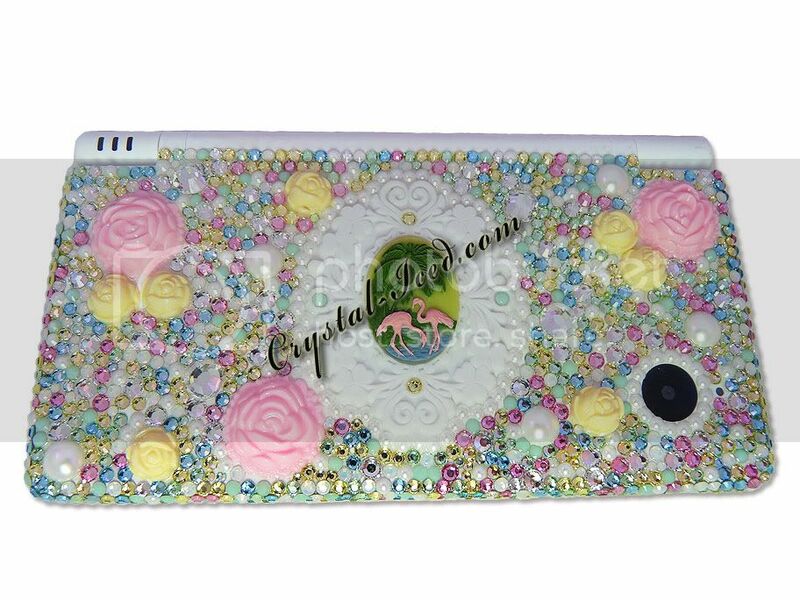 We must also receive any items you would like to get Crystal Iced, by the 15th of December 2009, as we cannot guarantee delivery before Xmas otherwise. The sooner you order for Xmas the better, so please try not to leave your orders to the last minute. 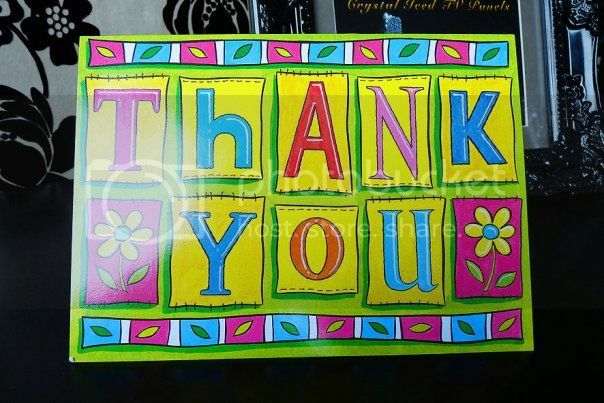 Thank you & if you have any urgent questions, please call us on +44 (0)1254 330338. 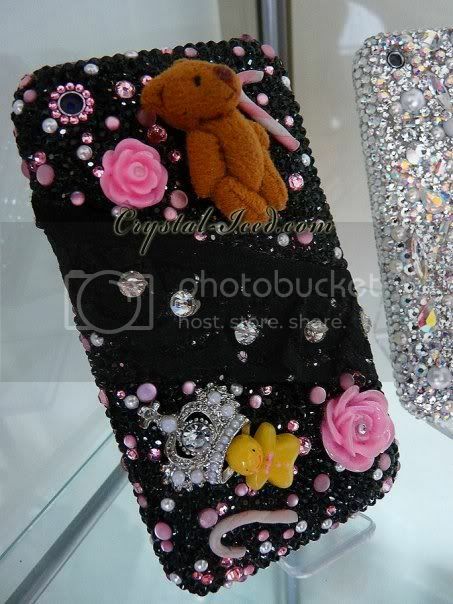 Alot of you may have seen Katie Price (Jordan) and her CI Blackberry on yesterdays I'm a Celebrity Get Me Out of Here. Also on GMTV & This Morning today. 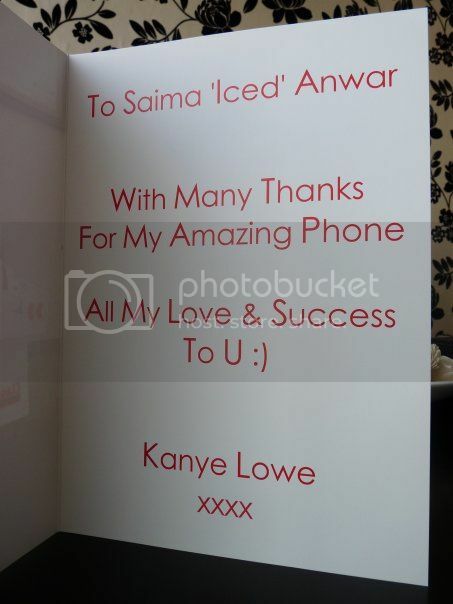 Here is a picture we recently stumbled upon of Paris Hilton and her Crystal Iced Blackberry. Looking as amazing as ever. So sweet. At times like this, I'm sure CI is the coolest Crystallization business around! 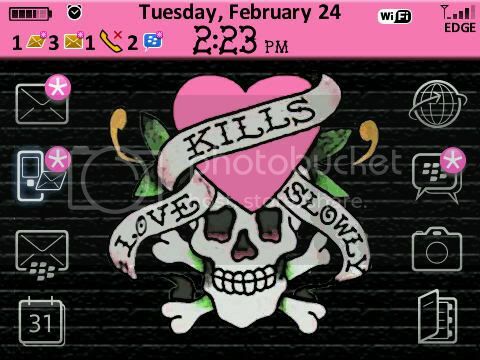 Blackberry Ed Hardy Themes by NancyDrewThemes.com - Awesome! 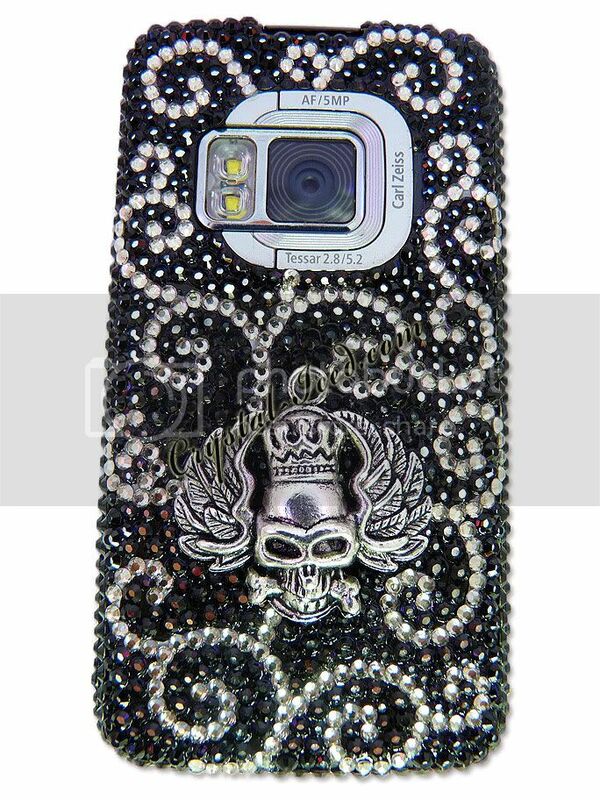 Direct link to the Ed Hardy theme for the Blackberry 8900 can be found here. It is tried and testing, and utterly fabulous! 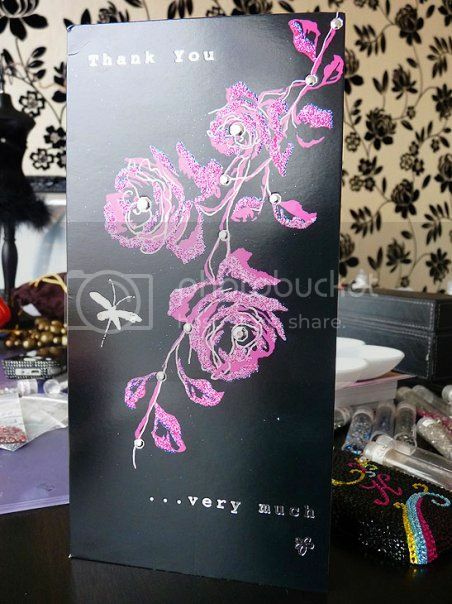 Just recently, we completed the 2009/10 Crystal Iced Carriage Clock project for ITV1 show All Star Mr and Mrs. As always it was a pleasure Icing them for the show, but ever since they went last week, the Crystal Iced office is feeling kind of empty with out them. I will keep you updated to let you know when the new series begins. Gorgeous, beautiful, stunning! 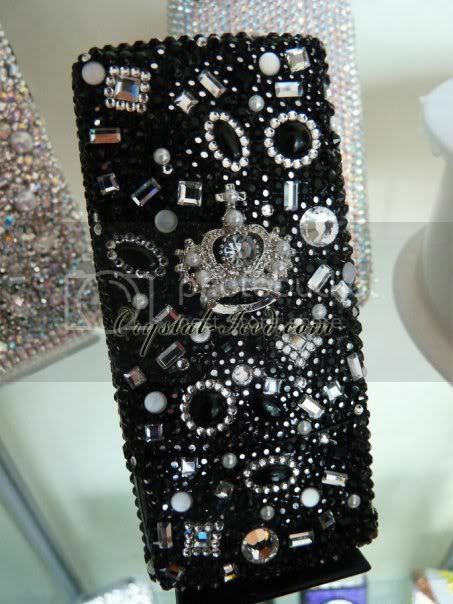 Doesn't Katie Price's new Crystal Iced Blackberry 8900 Curve just look amazing? Katie absolutely loved it! & it was a real pleasure designing it for her. 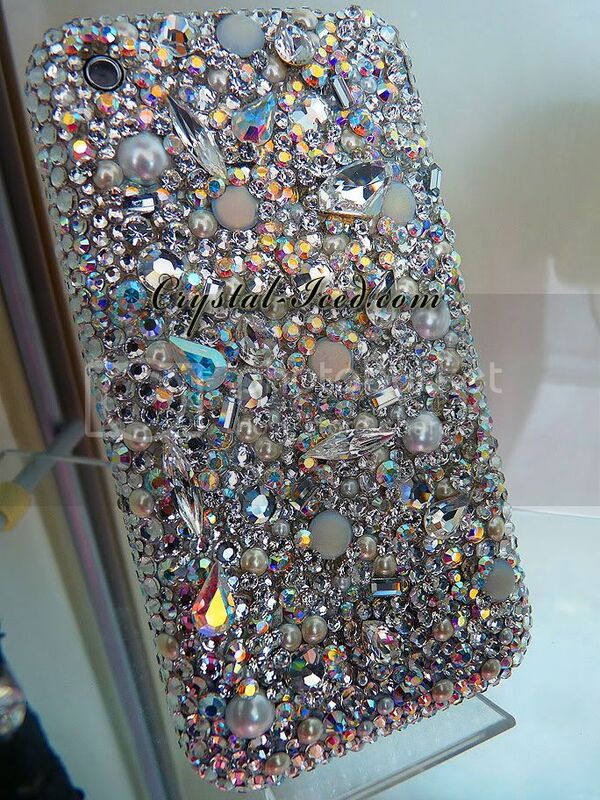 All Crystal Iced design's are copy protected. And don't forget to see our new updated gallery. 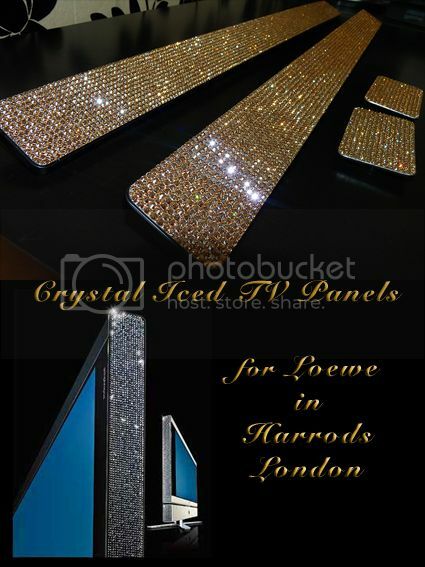 Back in April, Crystal Iced was commissioned to work some magic on TV Panels for Loewe in Harrods London. 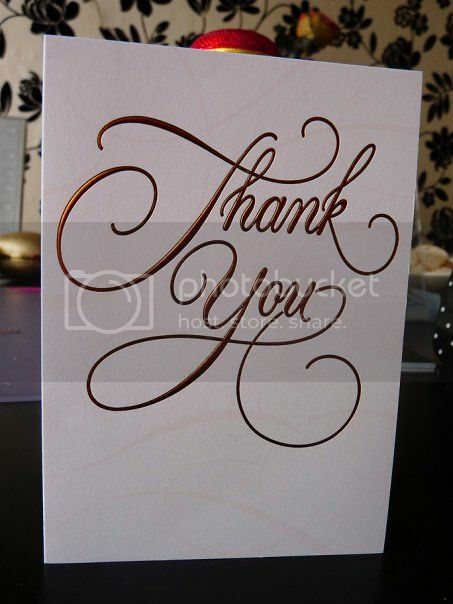 The panels were Crystal Iced in Golden Shadow, to create a lovely champagne gold effect. 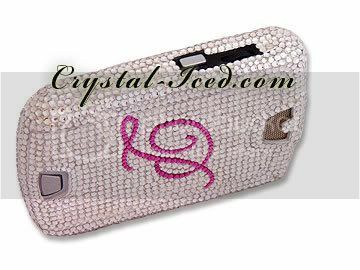 The end result was simply fabulous..
"Crystal Iced iTeddy's" - who would have thunk it :) When Imran Hakim commissioned us to Ice his ingenious creation, we contemplated shaving its hair off to attach the Swarovski Crystals all over.. But it wouldn't look like the cute cuddly iTeddy any more. 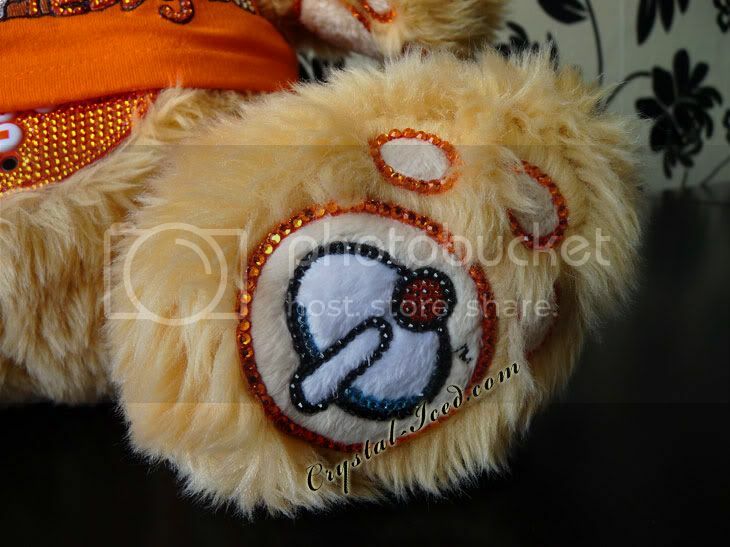 So I decided to just add accents of Swarovski Crystals, to various areas of the iTeddy.. which gave birth to the ICED-Teddy.. Cute yeah? 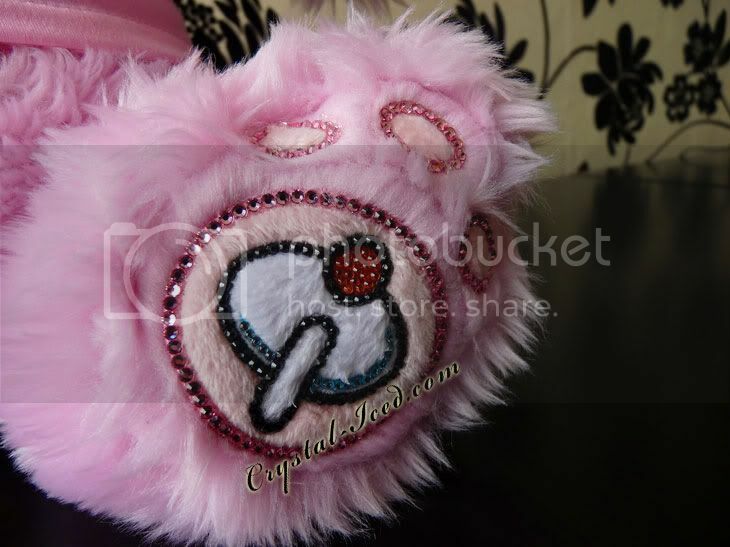 These babies will be auctioned off for charity by iTeddy, so watch this space. 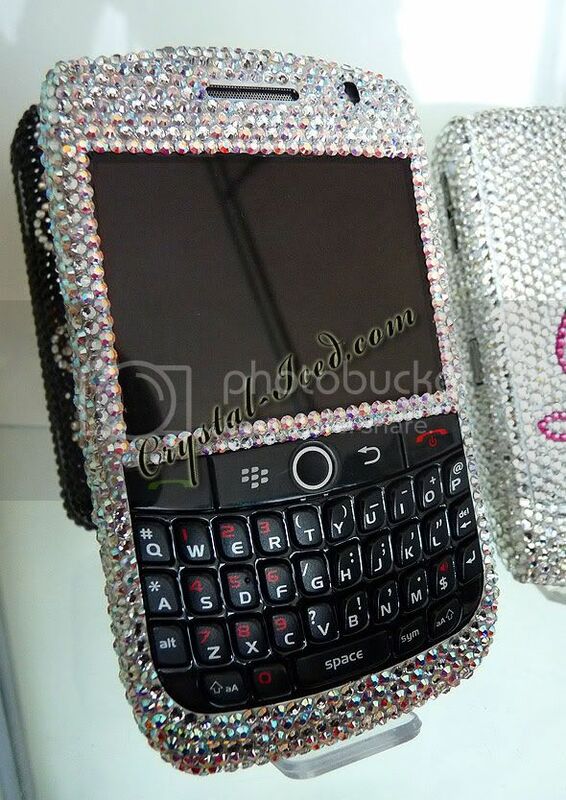 Models now include the Blackberry Curve 8900, 8300, 8310, Blackberry Pearl 8110, 8120, 8130 & Blackberry Bold 9000. Blackberry storm in stock & coming online soon! 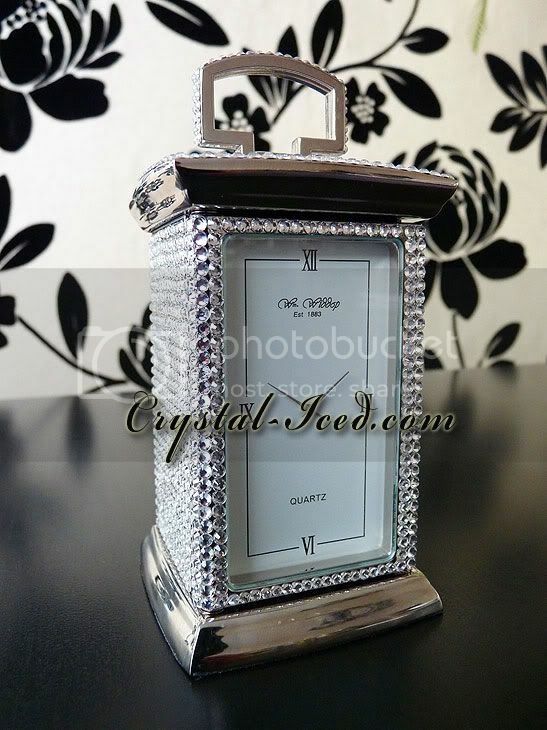 Crystal Iced was commissioned to encrust the most stunning carriage clocks for ITV1 show All Star Mr & Mrs, which is due to air on ITV1 this Saturday at 6.20pm. Here is a picture of one of them, which I caught 'chillaxin' in the CI office a couple of weeks back. 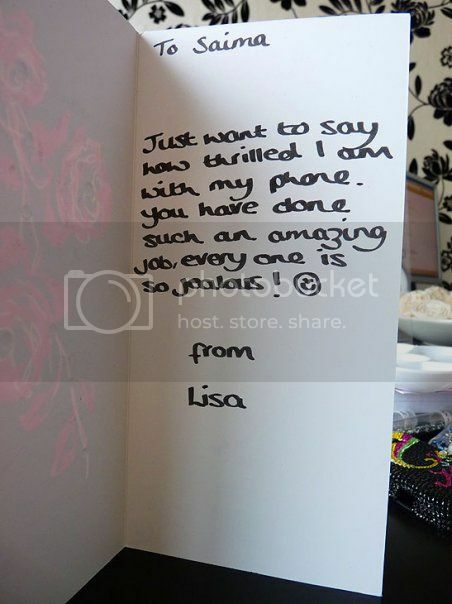 No doubt its now in a very happy home.............. of a celebrity!